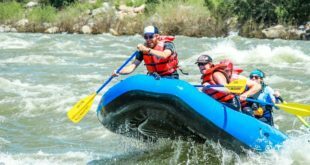 India was never considered an adventure sport hub and this is the reason that all the people think of some or the other foreign destinations as far as adventure sports are concerned. But in this area too, the Indians have progressed a lot and more adventure centres have been opened for the ones who are hungry for adventure all the time. The adrenaline rush that bungee jumping can cause is comparable to none and this is the reason that there are many destinations in India that are providing this facility throughout the length and breadth of the country. 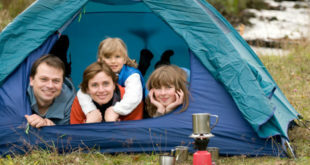 Rishikesh is a well known name in the field of adventure sports. This place is a great name when it comes to fixed platform bungee jumping. 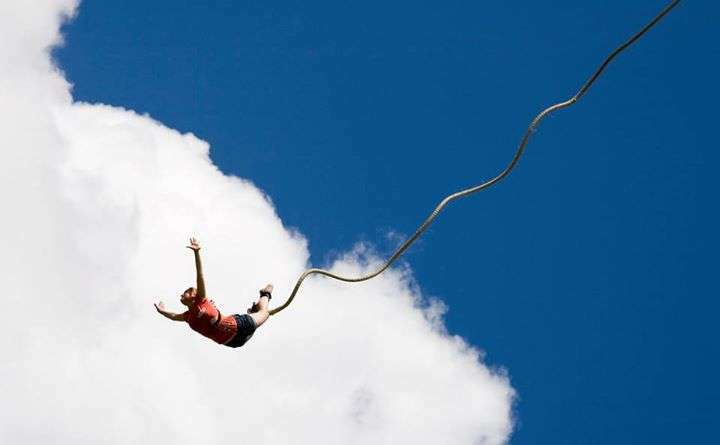 Basically, there is no other place that offers you with fixed platform bungee jumping. The village known by the name of Mohan Chatti is the exact location of Jumpin Heights, the place that is famous for this adventure sport. The bungee jumping in Mohan Chatti is the most expensive of all the places that offer it. The platform is actually built on a rocky cliff and is kind of Cantilever. The word cantilever means that one end of the platform is fixed to a solid base while the other end remains unsupported. This is just located mid way between Mumbai and Pune and is known for being the safest of all the bungee jumping spots in India. If you are a resident of Mumbai or Pune you can travel just a few miles to reach this place because Lonavala happens to be exactly at the same distance from both the cities. 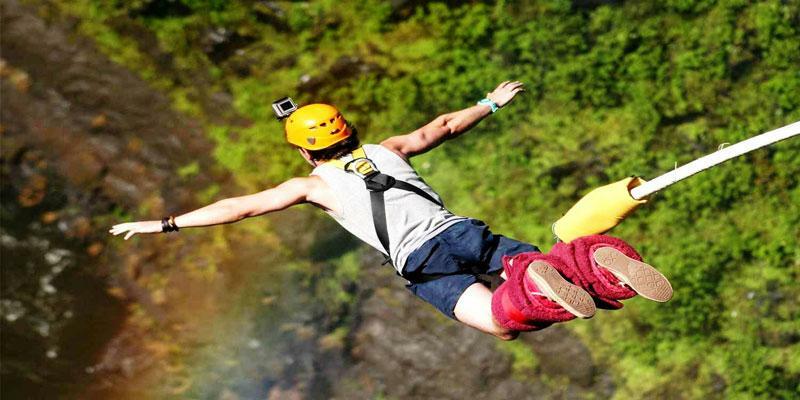 Della adventures provides you with the opportunity of getting the feel of free fall and create that rush of adrenalin in your body that is immense and incomparable to anything else in the world. This is located in Kunegaon of Lonavala and offers you a free fall from a height of 45 meters. For attempting this jump you should be more than 10 years of age. If you are a pro in the field of adventure sports and have been attempting bungee jumping successfully for years now then Bangalore is a place for you to try. There is no fixed platform in this spot of bungee jumping and all you get to jump from is a crane. It is generally believed that it is riskier to jump from a crane than jumping from a cantilever platform fixed on a hill. 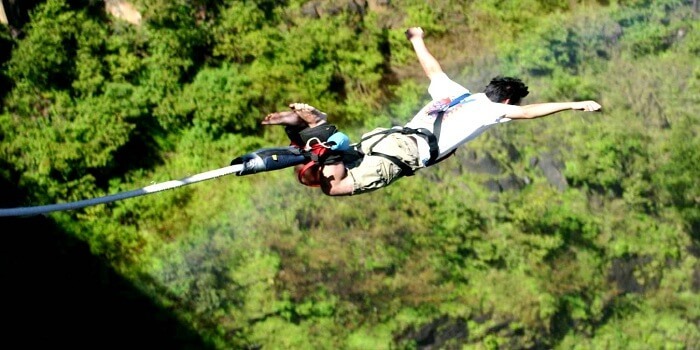 The non-fixed bungee jumping in India is one of the best in Bangalore provided by Ozone Adventures. It is actually the best one to provide this type of bungee jumping experience. The height of the platform from where you have to jump is 25 metres and this platform is suspended from a crane that is 40 meter high. For jumping here you need to be not less than 18 years of age. 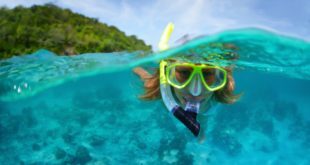 Goa happens to be the paradise for the people who are highly appreciative of adventure sports. This is a state that offers something or the else in the name of adventure in some or the other part. There are many beaches that offer you different form of various sports but it is only Anjuna beach that would give you an opportunity to just fall from a height at your will for fun. You can just not experience beach bungee jumping here but also do it safely. So, if you are a first timer or you are sacred of attempting it and still want to experience the thrill then this is the place for you to try it out. Here Gravity Adventure Zone has taken up the responsibility of providing safe bungee jumping opportunity to the people aged 14 years and above from a height of 25 meters. Chattisgarh remains one of those places in India that are still undiscovered and this makes this place more inviting for the lovers of adventure. There are many beautiful places in Chattisgarh and one of them is Jagdalpur. This place offers a very good bungee jumping spot and this is the reason that this place was chosen for this kind of adventure sport. You can witness a lot of greenery and picturesque beauty all around you while you are jumping off the cliff to experience free fall. The height from which you get to jump is 30 meters and you need to be at least 14 years of age to perform this task. 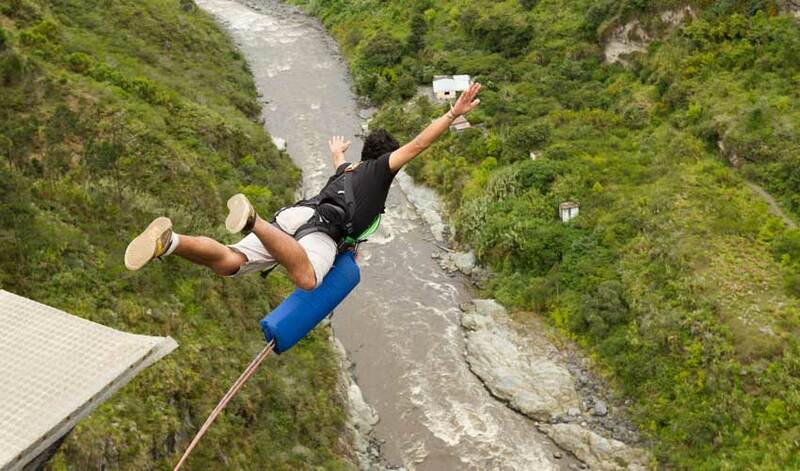 Hope you liked to read about the 5 Best Places in India for Bungee Jumping. Don’t forget to share this article on Facebook, Google + & Twitter ! Thanks for such a lovely Article. Keep sharing such blogs with us.